My Tax Agency report shows items under Sales and Other Revenue (line 101) that have nothing to do with HST. I am wondering how to remove them. These items have to do with investment income (capital gains, capital losses, and dividends). I used GJ entries to record these. For dividends, I found a workaround through another blog. By changing my investment account to "Other Current Asset" type, the dividends may be recorded using record deposits. Easier and no mess on the GST report. But I'm stuck when it comes to a capital loss. There is no way to do a negative deposit! Hey Dave, glad you found an answer to one of your problems. 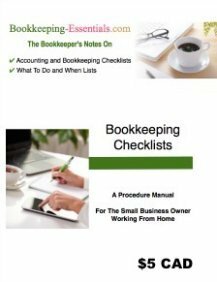 Under the "Good to Know" category for other people reading this post, it is not advised to use journal entries to enter data in QuickBooks. The software is built in modules and whenever possible, you should use those forms to enter your data. 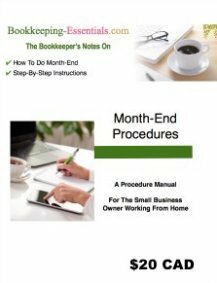 The journal entries are mostly used to do adjusting entries and there should be very few times you need to do this in QuickBooks. Also, QuickBooks wasn't really designed to track investments and their associated ACB, dividends and interest. Quicken is a better product to do that. However in the past I have used journal entries to capture this information. Having said that, this is how I have tracked investments and their income in QuickBooks in the past. 1. Setup "Other Asset" type account. I usually call it something like "Investments @ Cost" and then have sub-accounts if there is more than one investment account. As it is an asset account, this account will show up on your Balance Sheet. Do not include your cash balance(s) here, just the costs of your investments. 2. Setup two income accounts - Dividend Income, Investment Revenue. These accounts will show up on your Income Statement. up on your Income Statement "below the line". 4. Create a "Bank" type account for each investment account. You will use this for the "cash" balance shown on your statements. 5. Create an "Other Name" type in Lists for the "Name" of the investment firm. If you are in QBO this will have to be a vendor /supplier name as QBO does not have an "other name" list. This is just to help keep the income booked in journal entries (coming up next) organized which is helpful when reconciling. On each line of your journal entry, make sure you fill in the name column with the appropriate name you created in step 5. This entry if down properly does not affect the tax item column. ALWAYS make sure you put a good memo as to what you are booking ... you will be thankful when reconciling that you took the extra time. None of these journal entries affect the "tax item" column so there should be no effect on your sales tax return. 10. Make sure you reconcile your balance sheet accounts (Cash and Other Assets) to your investment statement(s). At tax time, you should also be able to reconcile the income accounts to your T-slips ... or be able to explain the variance. Hope this helps but again I must say QuickBooks is not the best software to use to track your investments if you have a lot of them. Quicken was designed to track investments and does a much better job, especially when you need your ACB on individual investments when you go to sell. I use both Quicken and QuickBooks. Inside QuickBooks, I maintain an “Available For Sale” securities account (other assets) to track the book value of my investments for the balance sheet. Stock purchases debit the AFS account and credit the investment cash account. Sales are the reverse with the difference captured to the capital gains account. I also have a Canadian dividends account and use deposits to record dividends. ACB is tracked properly and this setup handles mutual funds re-invested dividends. So now in May this particular stock gives me a rights offering as a dividend. It pays a dividend and then uses the dividend to purchase the rights. (see image attached above). This transaction is dividend neutral (i.e. on my dividend statement there is one transaction for plus $16.10 and one for minus $16.10). My stock portfolio then shows the rights with the rights for RTS-CONSTELLTN SFTW15SP15 with a book value of $16.10. In September the rights expired resulting in a capital loss of $16.10. How on earth can I debit the AFS security account for $16.10 without affecting the cash account balance while keeping the dividend account neutral? The rights were never in the AFS account (or in any other account) at the time of the dividend so adjusting the cost base can't be correct! It's like an extra stock appeared with an ACB of $16.10. The stock ("rights") didn't move between accounts. With Quicken it is pretty easy to add these rights offering to the account using the "add shares". You can then sell these rights offering using a "sell" transaction with zero proceeds to generate the capital loss. I cannot see any way of adjusting the AFS account that is equivalent to the "add shares". The money needs to come from somewhere. To adjust the AFS balance up or down requires specifying an account in Quickbooks! The capital loss (gain) is the difference between proceeds on disposition and adjusted cost base of the stock ... so it will vary depending on whether there is a loss or gain on sale. This brings the stock dividend at cost into your AFS account and books the cash charged from your investment cash account for the exchange as well as leaves the reporting of a dividend received ... you did receive a dividend so it is not a neutral financial event. This removes the original cost of the rights from the AFS account and books the capital loss. There is no cash entry as proceeds were nil. I'm glad to hear you are tracking your investment in Quicken as well as it tracks your ACB for each investment. Once all your entries are in for the year, you should balance your AFS account to the book value showing on your brokerage statement. You should also receive a statement of activity for the year from your brokerage (usually in February or March). You should balance all your investment income to this trading statement and/or T3 and T5 slips received. You may be doing this already ... I thought I'd mention it just in case you weren't. Hopefully I understood your question and have answered it.